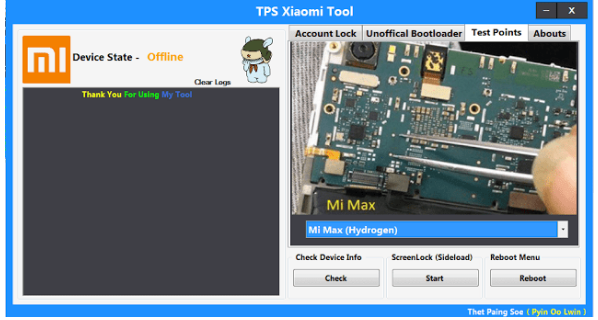 TPS Xiaomi Tool is a application for windows computer , which allows you to unlock the Mi account , Unlock The Mi Bootloader, Desable Mi account, It's also allows you to find the test point on Xiaomi Qualcomm Device, Simply select the test point tab Xiaomi and then select the model number and you will be able to see the test point of the respective device on your computer screen, many more options added in this Tool, TPS Xiaomi Tool Its latest version is released and available for directly download from our website. 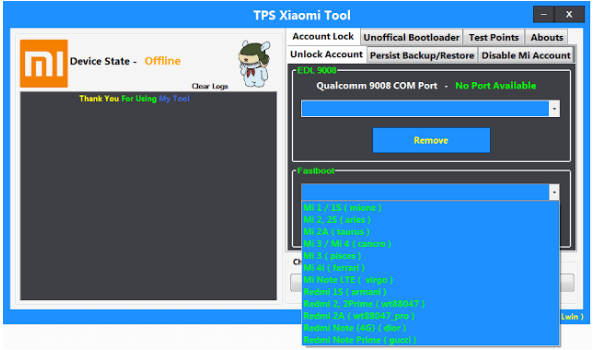 If you are interested into download the latest TPS Xiaomi Tool than simply follow the link given at the bottom. It is free to download and very easy to use. 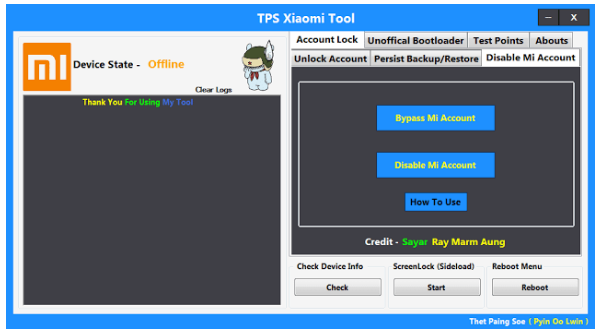 So download and enjoy the new TPS Xiaomi Tool on your PC.